A Wiltshire man was startled to see a bright light in the sky travelling fast on Saturday 7 August. 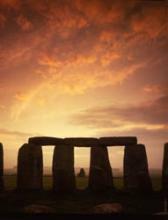 Daniel Hodder from Salisbury was travelling along the A303 when he spotted the object. He said: “We saw an enormous light in the sky north of Amesbury. We could only assume it was a meteorite. Andy Burns from the Wiltshire Astronomical Society had a straightforward explanation for what Daniel and several other people witnessed on the day. He said: “What has been seen is a meteor, not a meteorite. A meteorite actually lands on the earth and is a lump of rock or stone that you can pick up. A meteor is a stone in the atmosphere that burns up. The Perseids are visible between 23 July and 22 August every year, but peak activity is expected on the nights of 12 and 13 August with around 80 meteors per hour. Like most meteor showers, the Perseids can be traced to the orbit of a comet, in this case that of Swift-Tuttle. 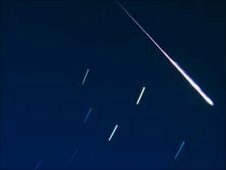 The meteors consist of dust-sized particles which burn up on entering the Earth’s atmosphere, at an altitude of 60 to 70 miles, as the Earth passes through the trail left by the comet. It’s consistently impressive display can be traced as far back as 36AD when Chinese astronomers noted high numbers of meteors. The best way to observe them is to look towards the northeast after dark. They appear to originate from the constellation of Perseus, which at midnight lies just below the easily recognisable ‘W’ of Cassiopeia. The highest frequency of meteors is likely just after midnight but with the moon, just past full, the best time to look for the ‘shooting stars’ will be between 9:00pm and 10:00pm when the moon is still low. The chalk downland of Salisbury Plain near Stonehenge was named by the National Trust in 2009 as one of the seven best places in the UK to witness the Perseids. They consider that light pollution in towns and cities has increased so much in recent years, that the countryside is the perfect environment to witness such astronomical spectacles as the Perseids.